Can these pictures be real? Wow. 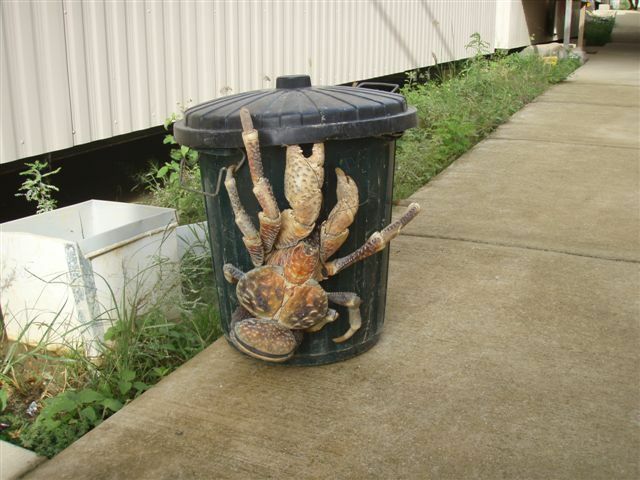 Imagine taking a vacation in an exotic location (they live in areas throughout the Indian and western Pacific Oceans) and waking up to one of these in your room! They can grow to up to 9lbs and 3 feet long. Their olfactory organs are similar to those of insects and are examples of convergent evolution. PostBlog: I have another cool picture of these amazing animals at a new post.